Preop clearance and evaluation tests are extremely important to you and your surgeon. The purpose of these exams is to assess the risks involved with your surgery and to formulate a plan of action in case of a problem. Your surgeon needs to have a recommendation from an independent New York physician before going ahead with your surgery. The pre-surgery clearance will give recommendations on post-operative patient care by the physician. During surgical procedures, your surgeon is usually primarily concerned with cardiac issues. Your surgeon will do everything they can to minimize these risks. During your pre-op clearance, Dr. Gafanovich will so a full assessment of your overall health, paying particular attention to the functioning of your vital organs and the system or systems involved with the area of your body with which you will be having surgery performed. It is of the upmost importance that you come through surgery with no adverse effects that could have been prevented. It is during your pre op medical clearance that Dr. Gafanovich will evaluate your conditions and warn the doctor about problems that could occur. She will give your surgeon her expert opinion on what can be done to avoid problems and how best to manage existing issues during surgery. Dr. Gafanovich is an experienced physician and an expert in internal medicine. Coming in for a physical exam in Manhattan, rest assured you are in good hands with her. Schedule your Pre Op Check Up Now! A pre-operative medical exam is very comprehensive. During your evaluation, you may be thoroughly tests for cardiac health, liver and kidney function, gastrointestinal issues and respiratory issues. When undergoing surgery, the primary concern is usually cardio-pulmonary. Surgery is hard on the body, and sometimes the heart muscle may show signs of strain. Your surgeon wants to be sure that you are in as little danger as possible before you have surgery. Most times, surgery is unavoidable in order to improve your health to a tolerable level. While this is unfortunate, Dr. Gafanovich is dedicated to fully evaluating all complications that could be triggered during surgery and how to best manage these problems if they occur. In order to do this, the doctor will need certain information from you. You will need to submit a complete family medical history during your exam and you will be asked to provide detailed information about your physical health. Electrocardiograms, chest x-rays, and laboratory specimens may need to be performed or collected and interpreted. All of these tests can be performed at Dr. Gafanovich’s in-house facility. Your exams can be scheduled strategically in order to give you the maximum efficiency level. We understand that this is a stressful time, and are dedicated to easing your fears and fully educating you about your condition. 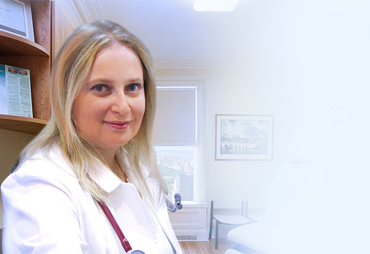 To learn more about Dr. Marina Gafanovich, MD’s Same-Day Priority service for Pre-Operative clearances in NYC call 212-249-6218. We promise that you will be seen within 24 hours of your request.